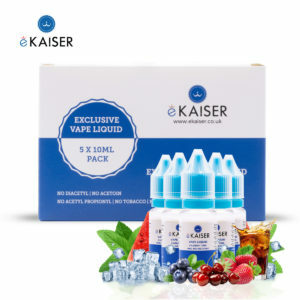 Ekaiser 5 pack of e-liquids. 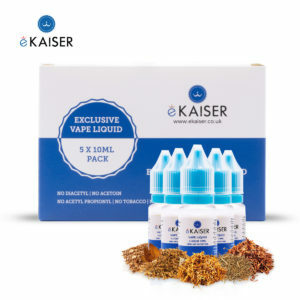 Nicotine-free e-juice with real flavours, proving the perfect vapour and the best throat hit. Blueberry, Watermelon, Vanilla, Cola & Mango. 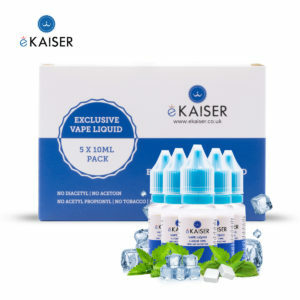 Ekaiser 5 pack of e-liquids. Nicotine-free e-juice with real flavours, proving the perfect vapour and the best throat hit. Menthol, Mint, Ice mint, Double mint & Helsenberry Menthol. 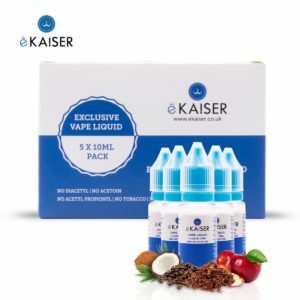 Ekaiser 5 pack of e-liquids. Nicotine-free e-juice with real flavours, proving the perfect vapour and the best throat hit.